Full list of Prize bond 4000 Draw 68 Result Thursday 1st December 2016 is available here. Draw of 4000 bond was held in Peshawar city of KPK Province. 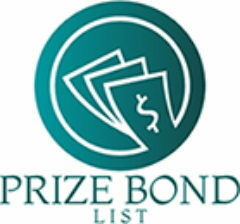 In 4000 prize bond their are three prizes name as first second and third. This is very expensive bond. Prize bond 40000 can change the life of any person even if he/she win third prize. National Saving of Pakistan organize the Qura andazu of 68th draw of 40000 bond on 1-12-2016 in Peshawar. The 40000 bond is also known as premium bond. The reward for the winner of the first prize is of worth Rs.75,000,000 and the Prize bond number 1625691. Second prize reward is of Rupees 25,000,000 and the lucky winners have the bond numbers of 000876, 001442 and 252502.While the third winner get the amount of Rs 500000. Complete list of Prize bond 4000 Draw 68 Result Thursday 1st December 2016 is mention below. Total of 1696 prizes each for the winner of 3rd prize of forty thousand rupees bond. Procedure to check result of 68th draw of Rupees 40000 prize bond is describe below. Result of 40000 prize bond is available here. You can also check Prize bond 4000 Draw 68 Result Thursday 1st December 2016 from the National saving site. Check your bond number by matching with the list of forty thousand bond. 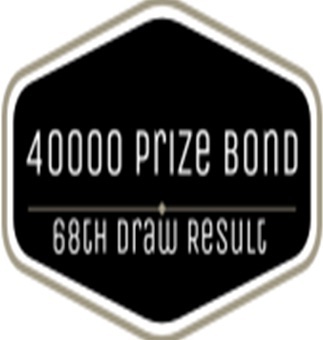 You can view as well as download Prize Bond 40000 Draw 68th Result. Press Ctrl+p in order the the print of Full list of Prize bond 4000 Draw 68 Result Thursday 1st December 2016.